record of college and career readiness skills. ACP is intended to equip students and their families with the tools necessary to make more informed choices about postsecondary education and training as it leads to careers. It is part of DPI's overall vision for every student to graduate high school college and career ready. That means students must be competent both socially and emotionally. We want our students to be strong critical thinkers, collaborate and solve real-world problems, and persevere when things aren’t quite going their way. When put together, it’s about making them productive adults with satisfying careers. To learn more about why ACP matters, watch this video. 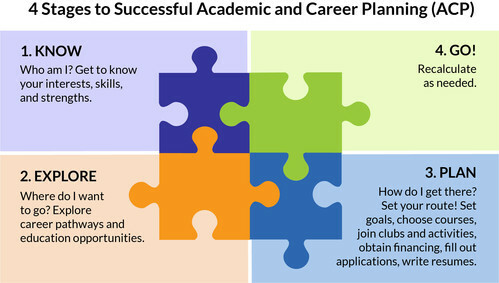 Our comprehensive school counseling model includes Academic and Career Planning (ACP), a student-driven, adult-supported process in which students create and cultivate their own unique and information-based visions for post secondary success, obtained through self-exploration, career exploration, and the development of career management and planning skills. 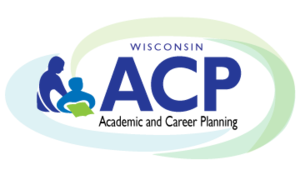 All students in grades 6-12 will participate in an ACP advisory program. Resources used to create this document include Department of Workforce Development data, DPI publications, and School District of St. Croix Falls publications. Copyright © 2019 St. Croix Falls School District. All Rights Reserved.